Temasek Holdings unit Pavilion Energy's CEO Seah Moon Ming will be stepping down to focus more on his role as SMRT Chairman. Temasek Holdings unit Pavilion Energy's Chief Executive Seah Moon Ming is stepping down in order to focus more on his role as Chairman of SMRT Corp. Mr. Frederic Bernaud, Chief Commercial Officer of LNG, oil/LPG and shipping at Gazprom Marketing and Trading group in London, has been appointed the new CEO with effect from 1st February 2018. The French national has more than 25 years of experience in the energy, oil and gas sectors. Mr. Seah had indicated his wish to devote more time and attention to his new role as Chairman of SMRT, said Pavilion Energy Chairman Mohd Hassan Marican. Mr. Seah joined the SMRT board on 1st January this year, and was appointed Chairman of SMRT Corp and SMRT Trains on 17th July. He had previously served as Senior Managing Director at Temasek International and was deputy CEO of ST Engineering between 2004 and 2013. ''The board is confident that Moon Ming leaves the group in a strong position, and the group will transit to (the) new leadership well based on these solid foundations,'' Tan Sri Hassan said in a statement yesterday. 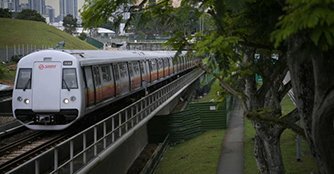 SMRT said the board, CEO and management of the rail operator 'welcome the opportunity to work even more closely with Mr. Seah' from February next year.